This pioneering organization has been embraced by every Pennsylvania governor and the PA General Assembly since its inception in 1983. 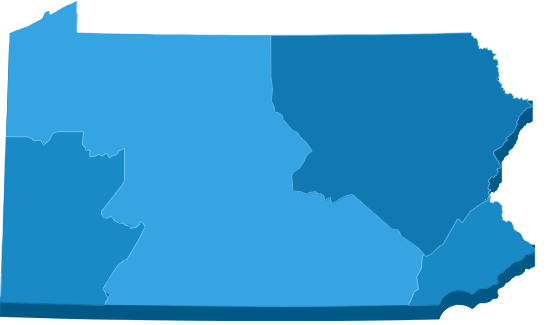 BFTP is positioned strategically throughout the state with regional headquarters in the Lehigh Valley, Philadelphia, Pittsburgh and State College. The Pennsylvania Economy League and KLIOS Consulting, both nonpartisan research organizations, conducted an independent, objective evaluation of the economic impact of Ben Franklin Technology Partners in Pennsylvania from 2007 through 2011. These results, released June 3rd, 2013, determined that BFTP has created significant positive economic impact for the Commonwealth. BFTP boosted the Pennsylvania economy (Gross State Product) by $6.6 billion. The Commonwealth received $358 million in additional state tax receipts as a direct result of BFTP investments in client firms. Another $144 million in state tax receipts flowed from related BFTP client services, for a total increase of $502 million in state revenue due to BFTP. Since 1989, BFTP has boosted the state’s economy by more than $23.5 billion. The BFTPs generated 7,485 additional jobs in client firms. Ben Franklin Technology Partners makes direct investments in promising, technology-oriented companies throughout the Commonwealth to fund critical commercialization activities and growth needs. Thanks to our rigorous vetting process, a BFTP investment often serves as a key endorsement to other funding sources, enabling companies to attract the follow-on investment they need to move beyond start-up and into full-fledged commercialization. BFTP is also an investor in select seed/early-stage PA venture funds, provides support for angel groups and is involved with initiatives designed to give new entrepreneurs the tools they need to get started. BFTP couples its financial commitment with access to a wide range of mentoring, business and technology development services. We deliver hands-on technical and business expertise, providing both early-stage and established companies with a wide range of business and technical assistance. This includes business plan reviews, technical assessments, intellectual property counsel, marketing advice, operations and fund-raising strategies. Thirty years of fostering progress and numerous success stories are all packed into our latest annual report. Read how Ben Franklin Technology Partners has changed the landscape of innovation and business across Pennsylvania. Learn how, by providing necessary capital and access to technical expertise and business assistance, Ben Franklin Technology Partners has improved the business environment in which tech-based companies operate in Pennsylvania.